When a patient is suffering from such severe mobility issues that they can’t get around on their own, improvement can seem difficult to achieve. After all, visiting a hospital or clinic may be extremely tiring for the patient and inconvenient for their caregivers. The good news is, patients can get physical therapy in Fountain Valley CA without leaving their homes by calling Acacia Home Health Services. Whether the patient is in a private home or a nursing facility, our talented and experienced physical therapists can provide treatment that is convenient and effective. Rehabilitation: One of the most common reasons to initiate physical therapy in Fountain Valley CA is to help patients recover after a serious illness, surgery, or stroke that has impaired their mobility in some way. With help from our encouraging therapists, patients can not only regain mobility but also learn how to safely navigate daily tasks like sitting, standing, bathing, and dressing as they recover. Fall Prevention: Of course, it is always best to prevent injury whenever possible. Physical therapy in Fountain Valley CA can help by improving patients’ balance, flexibility, mobility, and endurance so that they are less likely to suffer a fall. 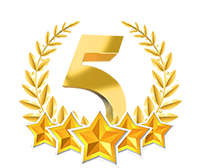 Acacia Home Health Services is proud to hold a 4.5 star quality rating from Medicare.gov. This rating shows that we deliver timely care that improves patient outcomes on measures such as mobility and pain management. Much of the credit for this excellent performance on these metrics goes to our physical therapists. Do you have questions about physical therapy in Fountain Valley CA? We have answers. We are available by phone at 818-241-2200 or you can use our online contact form to reach out to us.